Product prices and availability are accurate as of 2019-04-17 10:33:07 EDT and are subject to change. Any price and availability information displayed on http://www.amazon.com/ at the time of purchase will apply to the purchase of this product. Looking to clean pipe threads and tubes thoroughly but don't have the right tools for the job? 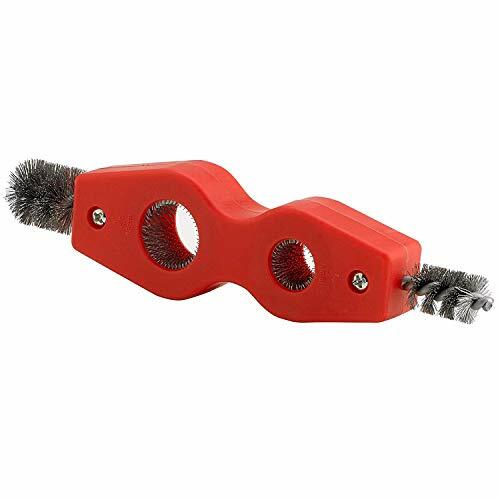 Katzco's 4 in 1 pipe and tube cleaning tool is the perfect solution for getting the job done while saving you money. 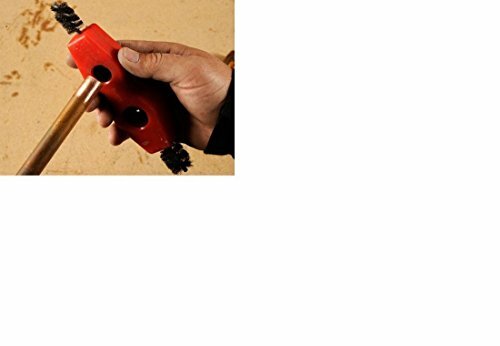 Katzco 4 in 1 pipe cleaning tool Comes in 4 different colors, Red, Blue, Grey and Black, color may vary. It is made of a durable hard plastic base that is impact resistant and resists wear and corrosion. Brushes are made of hardened steel that resist wear and flattening of bristles for a long lasting life of use. 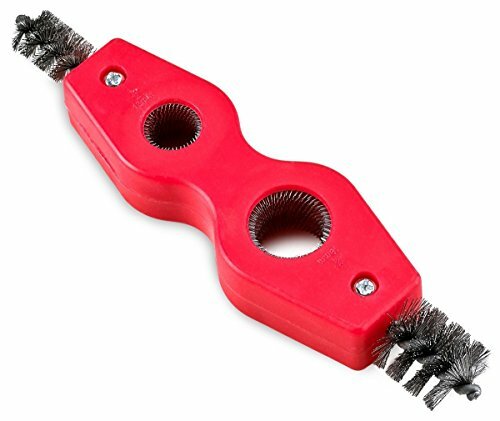 With hardened steel brushes you can get comprehensive cleaning and make sure every piece you get is perfectly clean. 4 in 1 design allows for cleaning on the inside and outside of pipe surfaces and remove debris from pipe thread to prep them for soldering and brazing. 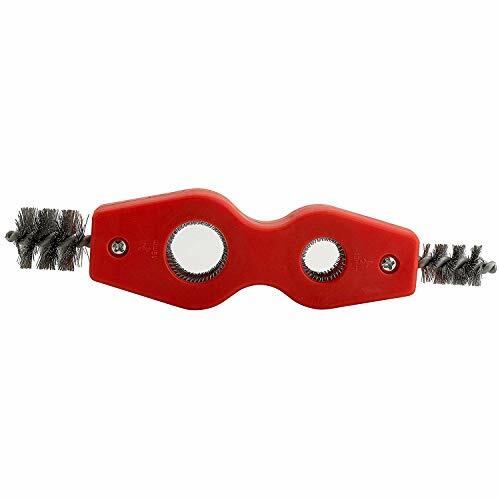 4 in 1 Pipe cleaning tool is designed to comfortably mold to your hand to ensure the most comfortable and sturdy grip possible when in use. The compact size of this tool makes for great portability so you can store and bring it virtually anywhere you need with minimal effort. which are the most common sizes used. Katzco is a brand you can trust! 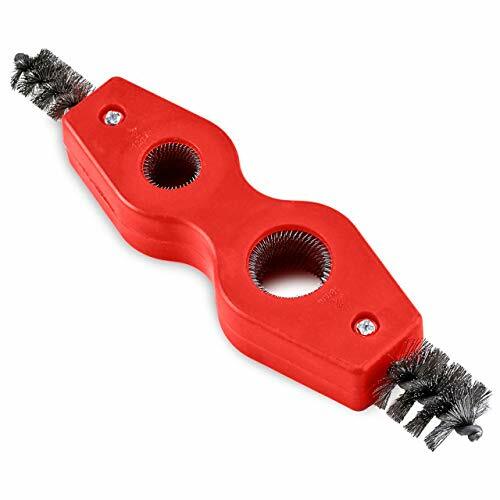 DURABLE CONSTRUCTION - Katzcos 4 in 1 pipe cleaning tool Comes in 4 different colors, Red, Blue, Grey and Black, color may vary. It is made of durable hard plastic cleans the inside and outside of pipe surfaces, base that is impact resistant and resists wear and corrosion. Brushes are made of hardened steel that resist wear and flattening of bristles for a long lasting life of use. CLEAN THOROUGLY - With hardened steel brushes you can get comprehensive cleaning and make sure every piece you get is perfectly clean. 4 in 1 design allows for cleaning on the inside and outside of pipe surfaces and remove debris from pipe thread to prep them for soldering and brazing. CONVENIENT - The compact size of this tool makes for great portability so you can store and bring it virtually anywhere you need with minimal effort. ERGONOMIC DESIGN - 4 in 1 Pipe cleaning tool is designed to comfortably mold to your hand to ensure the most comfortable and sturdy grip possible when in use. VERSATILE - Can clean pipes and tubing ranging from 1/2 Inch ID - 5/8 Inch ID - 3/4 Inch ID - 7/8 Inch ID which are the most common sizes used.